It was an awesome September and we tried our best to count it as a ‘Super September’ indeed. All our efforts came true in a real sense. To kickstart the month of September, we headed for pool campus recruitment drive where more than 11 colleges had come together to get their final year students find Internship projects and further jobs. We also visited more than 7 colleges to hire interns. At LetsNurture, we took off with usual routine work activities. 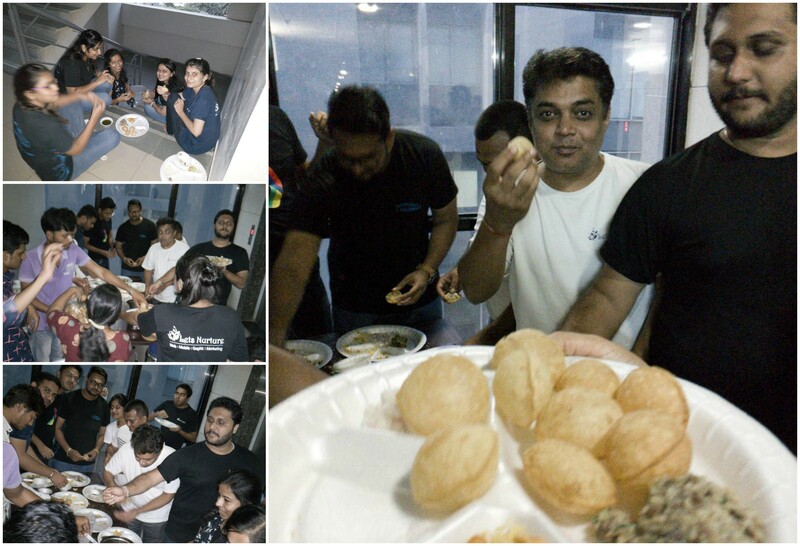 As part of fun and entertainment, we surprised our employees to have everyone’s favorite munch- ‘Pani Puri’. Our CEO, Mr. Ketan Raval was on another business tour in the month of September- this time to Europe and the United Kingdom to explore further opportunities to nurture the lives and businesses with innovation, technology, and solutions. In the midst of festivals and entertainment, Team LN also worked dedicatedly throughout the whole month to deliver quality work. We are hours away from launching a unique food delivery platform based out of California, USA. The platform enables ordering food in bulk. Targeted mainly for an industrial ordering of food items, the platform ensures easy ordering and swift delivery at industrial level. Mainly targeting refrigerated items, this platform keeps the buyers in loop for exact delivery timings so that they can have the refrigerated space/ Trucks ready to receive the order. The buyer can customize the order to ensure that the unloaded goods will be neatly stacked in a specified corner of their warehouses by paying few extra bucks. The idea is to have a free flowing industrial scale ordering and delivery of refrigerated food items. While all of this is happening, the buyer, the seller and the delivery person can easily track themselves on their mobile phones or on a web platform. Delivery made easy for Industrial level food orders ! Imagine yourself watching your favorite TV show and feel like talking/ discussing about it with your friends or with others who are also fans of that show? We have a platform coming up for you. Just like your TV Guide, you can browse through channels and the programmes. But you can select a program and start commenting about it or read what others have to say about it. Interesting? We went live with a social networking App. The uniqueness of this App is that for your profile, just one image of you suffices. The founder believes that while meeting people, they should not be judged based on any other parameters but how they look. A networking App in which you see images of users around you who are within 30 minutes of driving distance. You either like an image or dislike it. If you like an image and the other person also likes you image, Bingo. We have a match. You can then connect with that person and then chat with them. This is a Mobile based product supporting Android and iOS platforms. Last month we started with a project which helps you find life coaches. Well.. we have made a steady yet fast progress in doing analysis of the same. It has been an amazing process to understand this domain and come up with the flow, which is complex, but we have made it look quite simple. Amazing job done by our UI and UX team. Although a while to get to market, the progress we made this month has been phenomenal. Stay tuned for similar upcoming details of work which excites us! Every month we do an event to nurture our employees. 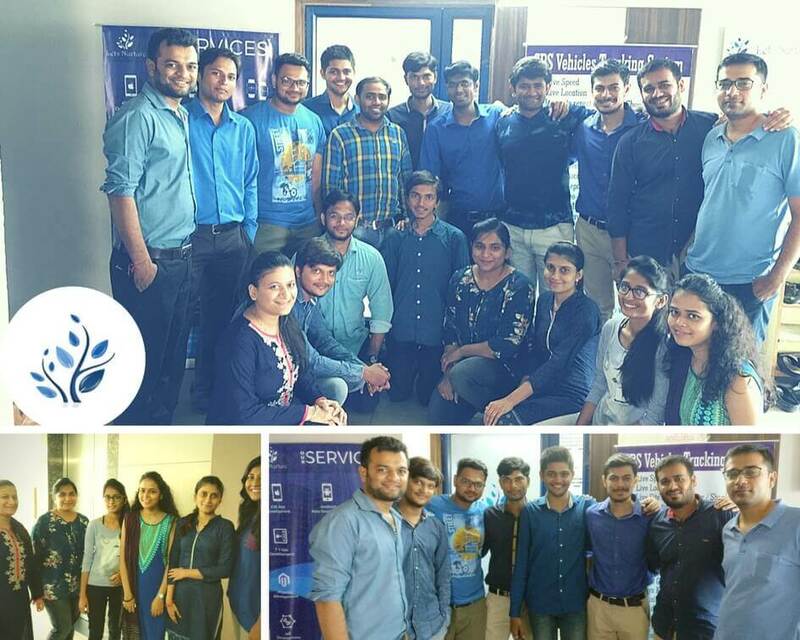 This time we had a skill improvement event for the technology team on React Native, where they can learn basic things and We also had done a Business Mastery Coaching workshop for Business Development team. 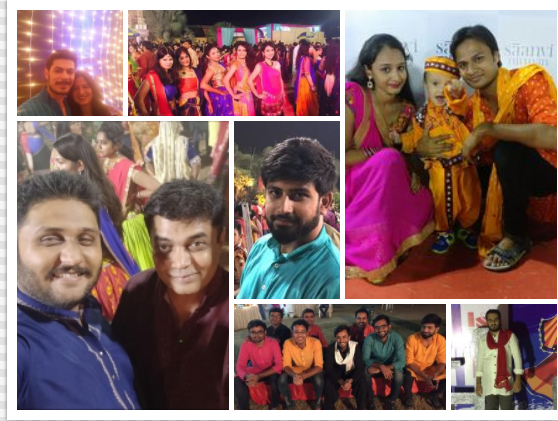 To make the festival of Navratri more joyous, we announced the Selfie/ Picture Competition. We use our social media power to decide the winners of the competition. Many employees took part in this competition and shared their mesmerizing pictures with us. Many Virgos and Libras have celebrated their birthdays during this month. The month ended with an appreciation of employees’ hard work. We rewarded employees with the Employee of the Month awards. We are focusing to hire more interns. We are hiring for different locations like Canada, USA, Mumbai and Ahmedabad. We are also planning to make grand celebration of Diwali. We do appreciate the hard work of employees.